Are you ready for an adventure? One where you explore the relationship between your inner voice and the world you live in? It will be challenging. It will also be exceptionally rewarding. Have you ever considered that the source of your stress and exhaustion could be from not living in accordance with your personal ethical standards? My name is Karen Johnson and I am here to help you live in alignment with your true inner values. You will discover a whole new way of being. For me, living a vegan lifestyle resonates with my core inner truth. I always ‘loved’ animals, I just never realised the impact my life choices had on them. Growing up on a chicken farm neighbouring on a dairy farm filled my head with enough images of intense animal suffering to haunt a lifetime of days and nights. I could not break free from the anguish I was experiencing because I could see no solution in sight. I was brought up to believe that’s just the way life is. 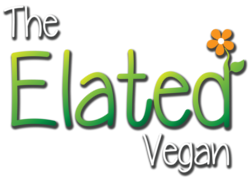 When I heard about veganism for the first time in December 2006, the concept simply blew me away. I had always believed you needed to eat eggs and dairy to live. From my life on the farm I knew they cause the most suffering to animals, so being vegetarian had seemed pointless to me. 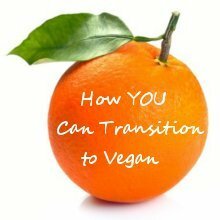 The fact that all I had to do was stop eating all animal products to stop the exploitation and death of between 80 and 400 animals every year, and additionally mean I would gain abundant health and help heal the planet, made the decision to go vegan a no-brainer. I viewed it as an opportunity I simply could not refuse! The result? Peace of mind and an ever-lasting feeling of Elation — which has grown every year! That is how I want you to feel. It wasn’t easy getting to this point. And perhaps that is why I relate and truly care when other people are experiencing difficulties. It is said that good teachers are those who have struggled, because they are conscious of the steps needed to get through the process. When things come too easily to us, then we can’t share the fruits of our experience. Now when I face a new crises in my life, I know that it is very likely a blessing in disguise. It is only through adversity that I have discovered an inner strength which I never knew existed before. I would love to help you find your inner strength. It took the death of someone close to me for me to realise that there is no revenge, only awakening. In the midst of the void of loss and emptiness I suddenly realised that life is about gratitude and compassion. These are not sentimental terms. Gratitude and compassion are skills you develop and practice every day. Yes, there is still immense pain and suffering in the world, but now I know the world isn’t an evil place. I like to spend time in Nature and when I look around me and see the abundant flow of prosperity, friendship, peace, beauty and health all around me, I know that it is my duty to be happy, and to help other living beings have happiness and freedom from suffering. That applies to people and animals. There is no revenge, only awakening. Life is about gratitude and compassion. These are not sentimental terms. Gratitude and compassion are skills you develop and practice every day. I now have a reason to live my purpose and what’s more I have found the solution; for me, for you, for animals, and for the world we live in. Do you want to be a part of the solution? I would love you to join me and take the first step on Your Elated Journey.